But it was that still small voice that said “I WANT TO BE YOUR COMPLETE SATISFACTION”. I realized that indeed it is futile to assume that a better situation, location or even activity would make me more fulfilled and satisfied. As I sat down a few days later to journal what the Lord had to say, He asked again to allow Him to be that TOTAL FULFILLMENT in my life. He already approved of me, already saved me, already has me as His prized possession, already called me… nothing more is needed to fulfill or satisfy my soul. He also warned that our heart is always where our god is and that He wants to be my Only God. Even ministry does not complete me like He completes me. Lord Jesus… help me each time I find myself disappointed for not feeling accomplished enough, satisfied enough, valued enough or whatever else. Help me focus on You as my total satisfaction and that my soul needs nothing else. You are enough. 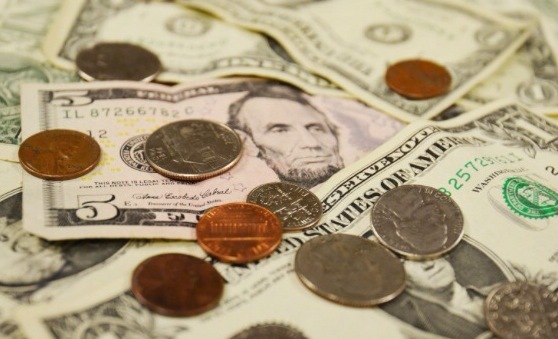 So, today I experienced the second miracle on my finances…. rather… protection over my finances. Less then a month ago I went to the store to do grocery shopping. I live about 10 minutes drive from the store. After I loaded up my car, put the cart away and drove home, arriving into my driveway I realized my purse was not with me. I freaked and hoped for the best as I started searching in my car and in bags. Once I saw it was no-where, I knew the worst had happened. I must have left it at the cashier or worse, in the cart I put away before getting into my car. I drove fast while praying: “Oh, Jesus! You see where my purse is, please keep it for me! !”… now realizing I don’t have a drivers’ licence on me either!! My wallet, ID, debit card and about $70 cash were the most valuables in my purse. When I got there I quickly glanced into the carts where there was nothing. I ran inside to the cashier and by then there was a different worker. At least 20 minutes had gone by! The one cashier said she saw nothing but relief came when the other cashier said “yes… a purse was taken to Customer Service”. Hope! So I ran there where a manager confirmed there is a purse and brought it out!! Thank you Jesus!!! When I opened, all my cash was in there, but the $50 bill was moved into a different section of my wallet. Who knows if someone intended to take it but then on second thought, put it back. On my way out a greeter told me an honest customer found it in a cart in the parking lot and brought it in!!!! How awesome was that???? Thank you Jesus! This next one was today yet!! I went to the post office to mail a package to my brother. I was ready to pay when they told me I needed to fill a customs declaration since it was going overseas. Because I didnt have my brother’s information I needed on me, I left to just go back tomorrow. I got into my car and drove to pick up my husband from work then straight to the gas station to fill up. Once parked at gas station I realize my debit card is missing. Since I had used my debit card online earlier at home I figured I just left it on my kitchen table because I didn’t even do a transaction at postoffice, so now I wasn’t even sure which was the last moment I had it. Drove home quick just to realize it is no where at home. “Oh, Jesus…You did it before, You did it before”. Drove fast to post office, bracing for the worst as at least half hour had gone by and traffic is high at counters. I walked in, the place full of people. I glance at the counter to see my debit card sitting there u n t o u c h e d!!! I couldn’t believe it!! For over half hour people kept walking past it not seeing it!!! Unbelievable. Thank you Lord!!!! You covered it to hide it from everyone’s view!!! I am baffled!! I grabbed and left! When we walk blameless before the Lord, He keeps our ways and our belongings. These are first time I experienced these but pray to not have to leave valuables behind ever again! Jesus gets in on the inside joke… how cool is that?? My daughters and I have had an inside joke for a long time now. It goes something like “I love you so much!! I’ve tried everything, I’ve tried so hard not to, but it doesn’t work. I can’t help it!! I just love you and love you and there is nothing I can do about it”. So, what are you doing this morning, Jesus? How are YOU feeling? What is on your mind? I HAVE LOTS ON MY MIND. YOU ARE ONE OF THEM. YOU ARE ON MY MIND AND I CAN’T GET YOU OUT OF MY MIND. I CAN’T HELP IT. NO MATTER WHAT I TRY! Yesterday during worship time I had a vision. I saw 3 African warriors. Very distinct and clear. 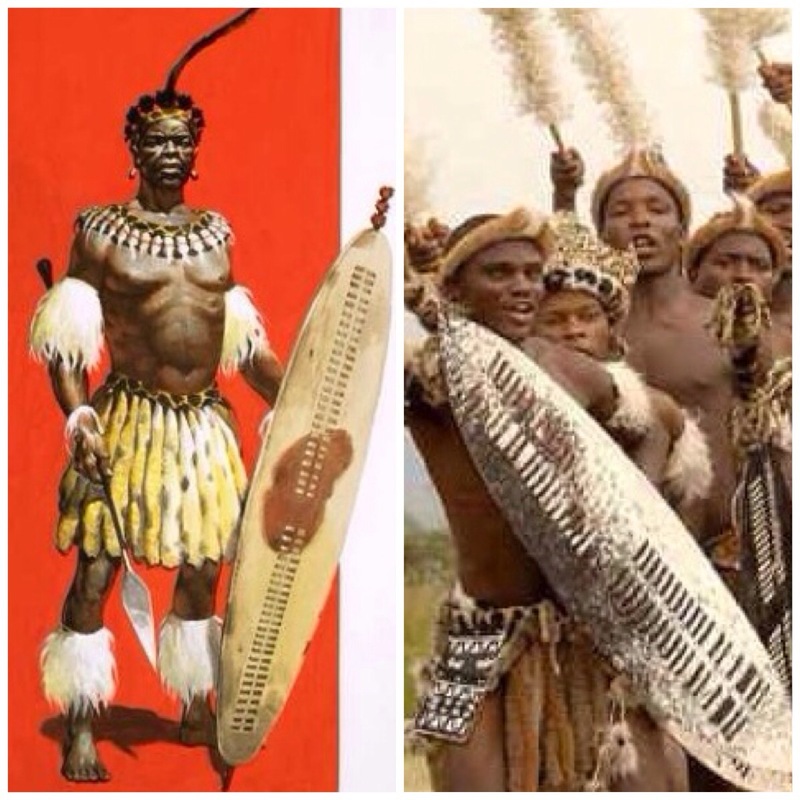 The pictures below is to show the kinds of shields I saw them carrying. As large as their bodies practically and wielding spears above their heads. Also I sensed they were female warriors and there were 3 of them if not mistaken. Not sure if females go to battle like this in the natural, but that is what I saw in the spirit. I sensed they were intense in their resolve. 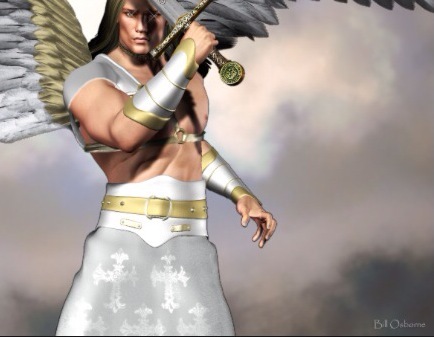 So, while worshipping I got into spiritual warfare myself and positioned myself like them warriors and interceded in the spirit. Have you ever experienced money coming from no where? I am sure you have. But this one is unusual to me. I’ve heard of people receiving anonymous donations but never money in bank that isn’t supposed to be there. Since June this year I have had several times now little amounts of money show up in my account that has no explanation. So, we all balance our check books and make sure it is all reconciled according to online banking, right? Do we make mistakes sometimes? I am sure we all have. Adding up wrong or forgot to deduct something we spent… But if I have made a mistake before I give it no rest. I go trace, recalculate until I find the mistake and fix it. Well, these are not so…. I have my checkbook reconciled and then one day there is a little bit more in there then what should be in there. At first, I was ignoring them thinking if I forgot something and can’t figure it out, eventually it will get deducted online. The first time I waited like a month and ignored the “extra”. The difference was $50+ more. But after a month waiting the difference was now $70+. I wrecked my brain looking for a mistake on my part and waited some more. When I saw that there was nothing else coming out of my account I just decided to reconcile my checkbook according to the online banking and by then the increase was $80+. I prayed and thanked God and said “well, God is increasing my bank account”. Shortly after that, other little increases. This time in cents. $0.05, then $0.80… I waited again and recalculated and ignored. Then I started thinking maybe God is having fun surprising me. A few months later AGAIN… This time the difference was $25+. I ignored it, not wanting to reconcile my checkbook yet just in case. By the time I reconciled, the difference was $27+. I can’t figure it out!!! I retrace my expenses, recalculate, but the extra is still there!! Last week was the most recent. $40+ extra. Well… I am used to it now and just receive it from the Lord. I reconcile my checkbook now and just say “Thank you Lord”. Trust me… I am very careful to track all expenses and deposits. There are no mistakes in my checkbook and the few times there has been, I find them. I believe God is having fun with financial increase. Even when the amounts are not in the hundreds. I receive them! ADDED NOTE: About 5-7 days after posting this, my husband walks in with the mail and told me that we got a check for $120 reimbursement from some overpayment we made. Isn’t this amazing? Financial surprises! Posted in: Testimony	| Tagged: Blessings, Finances, Money, Testimony. This is another experience I started having since this past April. While I am doing my work, as a business woman… in the middle of my presentation, suddenly the palms of my hands start glowing with heat. It is real weird. Sometimes the left one, sometimes the right one. But the sensation is like if you were to hold your hand over something hot, like a stove… the heat that glows in the palm of your hands… that’s what I feel. It lasts for a bit… maybe a whole minute or so and then I am not aware of it any more. I have no other explanation except the presence and anointing of God with me in my work, blessing my work and causing me to prosper. Unless someone has a different insight, please share. Last year my daughter and I went out of town. When in a new city, you don’t know the roads like the locals do. I especially am nervous of turning on a one way street at night, going against traffic for example. That happened once before. This one time it was during the day and we were leaving a shopping center, needing to turn right onto the busy road. I don’t know why I assumed there was a shoulder between parking lot and the flow of coming traffic but there was none and I fully intended to pull a bit further out before a complete stop to better see oncoming traffic. Well, my car came to full stop before I meant to, I have to say supernaturally, as within seconds a car passed in front of us going at about 40-50 MPH. I just sat there baffled realizing that I would have been in its path and it would have hit my side of the car at that speed. I believe angels stopped my car when I really meant to pull out a bit more thinking there was a shoulder. Thank you Jesus for considering my daughter’s and my life precious in your eyes. I was reading a testimony from the “HEAVEN IN BUSINESS” Facebook Page where someone was sharing a testimony how they were doing an exercise where they were giving up lies they’ve been believing and then asked God what He wanted to give them instead. I knew right away what lie I had been believing because I’ve been pondering about this lie for a while now and I couldn’t seem to get rid of it and how it affected my thinking and even my work performance. I sensed some familiar words… “COME DRINK FROM ME. I CAN CALM YOU IN A DEEPER WAY THEN YOU NOW KNOW. STAY IN ME. THIS SOUNDS FAMILIAR, YOU MAY EVEN BE TEMPTED TO DISREGARD IT. I MEAN YOU TO REST IN ME”. I indeed wanted to just quit my prayer time because I felt “rest in ME’ wasn’t enough for me right now. I even closed my journal intending to just move on with my day. But then it dawned on me that I still didn’t give up the lie, I just brought it up before the Lord…. “LORD, I give you this lie. I surrender it to you. Take it from my hands. I don’t want it anymore nor do I need it. I hate this lie. I break agreement with it. I don’t embrace it any longer. I want it gone from my thinking”. I cupped my hands before me as if giving this lie to the Lord and closed my eyes and pressed in to ‘hear’ or sense Him. Soon I started feeling prickling sensation in my hands and what I could ‘see’ is like when paper is lit with fire and how the red glow consumes the paper even while there is no actual flame. I waited and suddenly I felt heat in my hands. I started crying as I felt this was a real encounter. I waited a few more seconds as I sensed the burning of that ‘paper with lies on it’. Then I asked God what He wants to give me instead. The only thing I ‘saw’ was a picture of white cloth (maybe a white kitchen towel or white linen napkin?) being draped over my cupped hands and then I sensed that if my hands were like a bowl, a bread roll was in it and the white cloth draped over it. I just sat there until I sensed nothing else. Not sure what the bread roll and the white cloth represents. But I trust His work is done. He’s Faithful to the Faithless? No matter how many times we experience God’s faithfulness and His awesome provision, each circumstance is again a new challenge and an opportunity to believe. And God is still faithful when we begin to doubt. 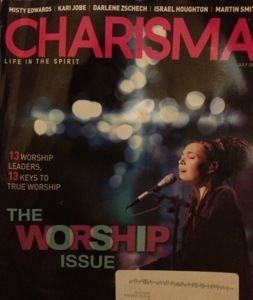 Copying from the latest Charisma Magazine “The Worship Issue” – p31. Up Close and Personal by Kari Jobe: “He inhabits our praises. Think about that. The God of all creation is moved by us, His children, when we worship. However, I’ve discovered that true worship is more than music or a song. At the heart of worship is the Lord’s desire for a relationship and communion with us. Another word to describe this would be intimacy”. “COME TO ME, MY DARLING BEAUTIFUL. I AM HERE AND I SMILE OVER YOU. YOU GIVE ME JOY. I CRAVE YOUR PRAISE. I CRAVE YOUR WORSHIP. THIS IS ME AND YOU. I WANT YOUR PRAISE AND WORSHIP. I LIVE IN YOUR PRAISE AND WORSHIP. WORSHIP ME. THIS IS YOUR LOVE EXPRESSED TO ME. THIS IS HOW I KNOW YOU LOVE ME. WORSHIP ME”. I pray we learn to desire Him as He desires us. That we crave intimacy with Him as He craves intimacy with us. I want to catch it and learn to worship in spirit and truth. I want to experience His glory and all it’s manifestations.